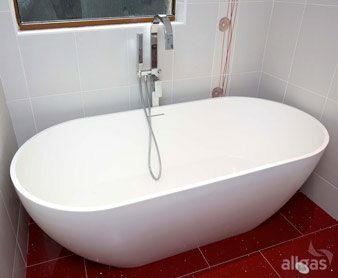 Here we took an old dark bathroom that had been untouched for many years. 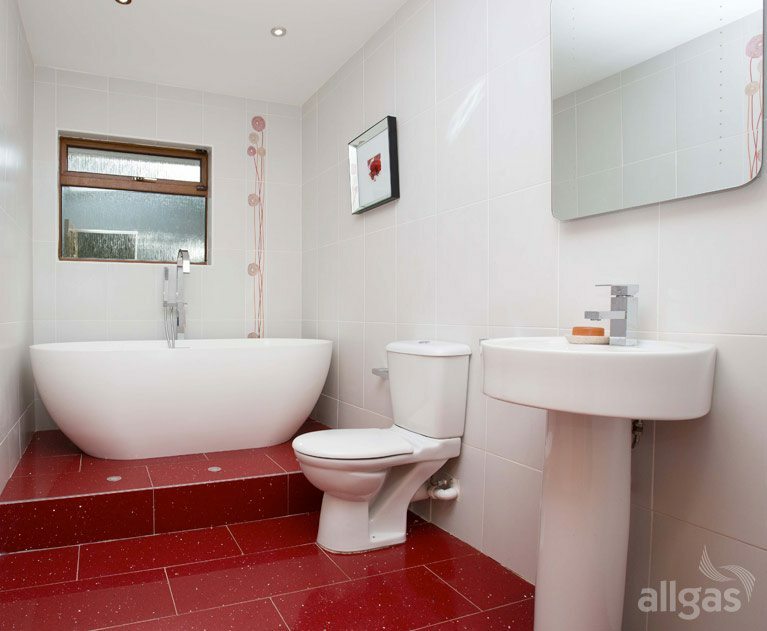 The space available was quite small so part of our brief was to make it appear spacious and bright. 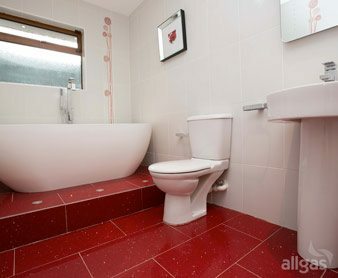 The owners also wanted a dramatic bathroom but one that was functional and easy to clean as well. 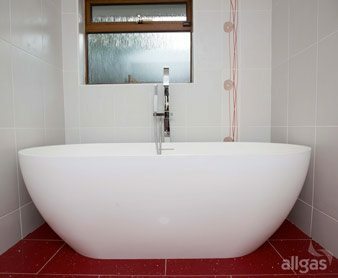 We created a modern dramatic bathroom with a large feature bath on a raised platform. The bath comes from the Ideal Standard freestanding range. 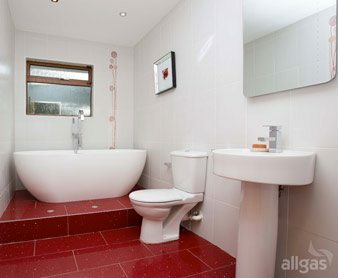 We used large red quartz floor tiles and emphasised the raised platform and bath with recessed floor lighting. 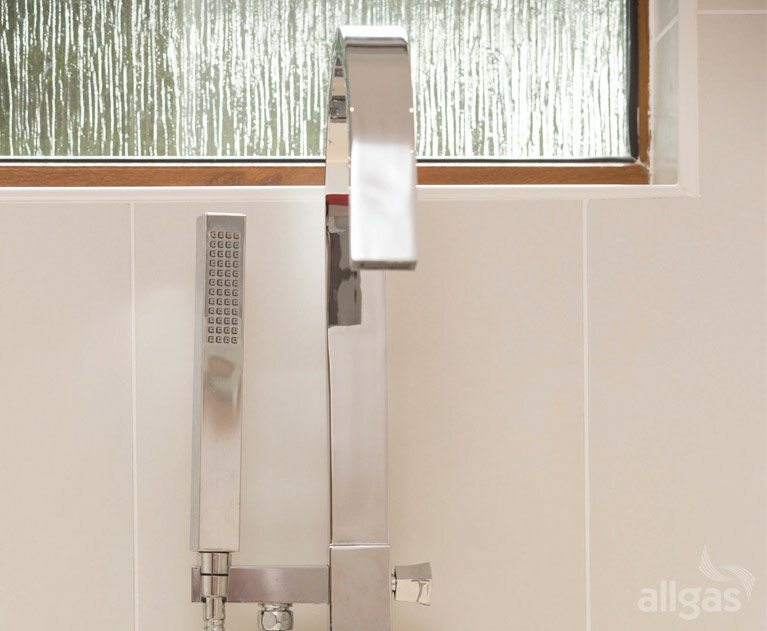 Large white porcelain wall tiles throughout give a feeling of space. 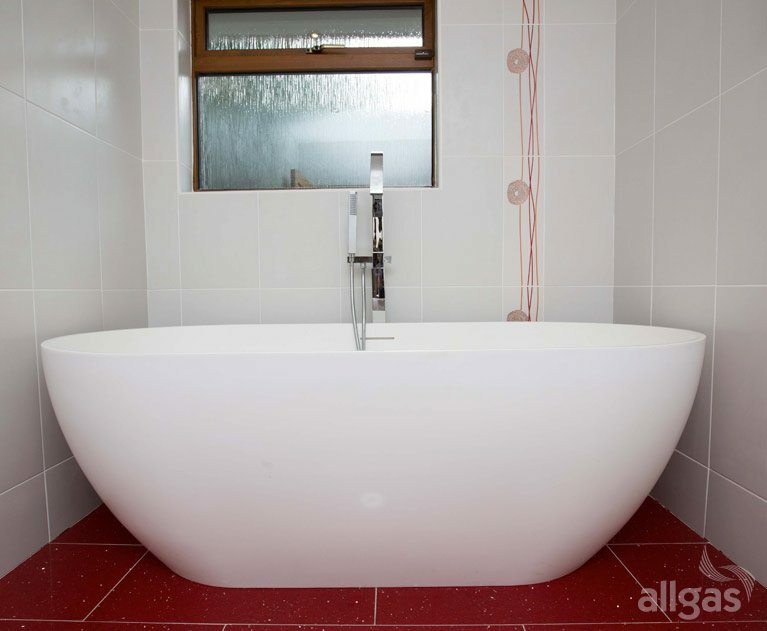 The large red feature flower pattern in the tiles brings a bold focal point beside the bath. 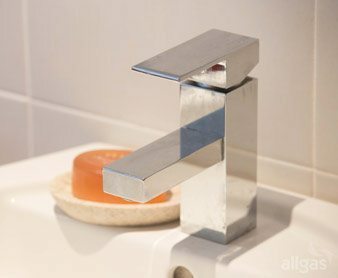 We fitted complementary modern wash-hand basin and toilet from Ideal Standard. 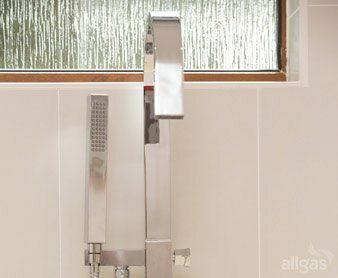 The large mirror is from the Sonas range. The slimline Pegler chrome taps and chrome fittings finished this ultra glamorous modern look.